Photo courtesy of Lisa Giacomelli. Wilmington Academy of Arts and Sciences science teacher Lisa Giacomelli stands with her students before launching a weather balloon July 13. 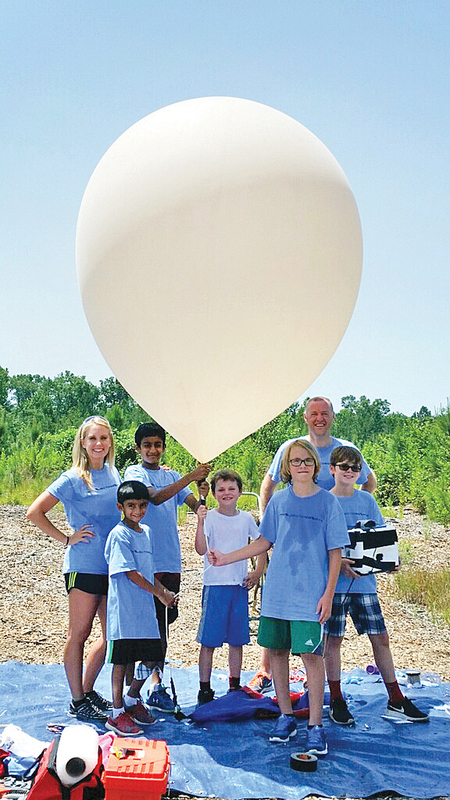 After months of planning and research, a group of Wilmington middle schoolers launched a weather balloon carrying recording equipment into the sky on July 13 in hopes it would eventually burst and parachute back to Earth, bringing them data and photos from the stratosphere. The students, along with their teacher, Lisa Giacomelli, encountered obstacle after obstacle that day — even losing the balloon’s GPS signal for most of its journey — but hours later, they retrieved the parachute and its recording equipment from a cow pasture. In the coming weeks they’ll meet with their Wilmington Academy of Arts and Sciences (W.A.A.S.) classmates who couldn’t attend the launch to analyze the data they collected: temperature readings, light readings, photographs and videos from 100,000 feet above Earth. The project idea came from one of Giacomelli’s student’s parents, Robert Condon, an assistant marine biology professor at the University of North Carolina Wilmington. Years ago, Condon launched a weather balloon with his son’s Bellamy Elementary School class as part of UNCW’s TEAMS (Toward Elementary Advancement in Marine Science) program. The project tied in with the W.A.A.S. students’ Earth science curriculum, but it was entirely voluntary and completed outside of class, Giacomelli said. When she proposed the project in January, 15 students signed up, and they met every Thursday after school to work on it. They divided into teams depending on their strengths and interests, each group focusing on one of four aspects of the project: science, technology, engineering and math. The science team researched what data to collect, the technology team handled the GoPro cameras and the GPS tracker, the engineering team constructed a payload to hold the technology and the math team calculated where the balloon was most likely to land. The students worked hard on their tasks, not only because they were roles each student chose, but also because they knew their classmates and the success of the project depended on each one of them. They determined their budget and held fundraisers. Varun Varadarajan was tasked with asking UNCW’s chemistry department for a donation. Varun’s father, Sridhar Varadarajan, noted that even the process of explaining the project to potential donors was a learning experience for students. “They had to talk to people about the project so that they would actually get excited and give them money,” he said. The next hurdle was getting permission from the Federal Aviation Administration to launch the balloon. Despite being ready to launch in May, they didn’t get clearance until July. So on that steamy day, five available students made the three-hour trip to a launch site Varun helped select based on the jet stream’s movements. As the students and a few parents prepared the balloon to launch, the balmy weather repeatedly steered their plan off course. Equipment overheated and camera lenses fogged from the humidity. Finally, around 1 p.m., they released the balloon with its payload and parachute into the sky, watching it quickly diminish to a black speck. They hoped to track the balloon’s GPS on their phones, but no signal appeared. They convened at a nearby McDonalds to wait. And wait. After an hour, they decided to drive home, taking different routes just in case someone discovered the balloon and alerted them. “I had lost all hope at that point,” Giacomelli agreed. Three and one-half hours after the balloon disappeared into the sky, Giacomelli’s phone pinged. The parachute and its payload of equipment were descending. “Everyone started screaming,” Varadarajan said. When the parachute touched down, Condon and his son Ian were closest, so they retrieved it. The parachute barely missed landing in a nearby river, instead coming to rest in a clearing. Under the curious gaze of a herd of cows, Ian Condon and his father collected the parachute. Many aspects of the launch didn’t go exactly as planned, Varadarajan admitted, but those variables taught his son more about the reality of science than a textbook ever could have. “You could never learn something like this in a classroom,” he said. Copyright 2016 Lumina News. All rights reserved. 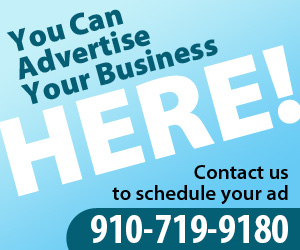 This material may not be published, broadcast, rewritten or redistributed.